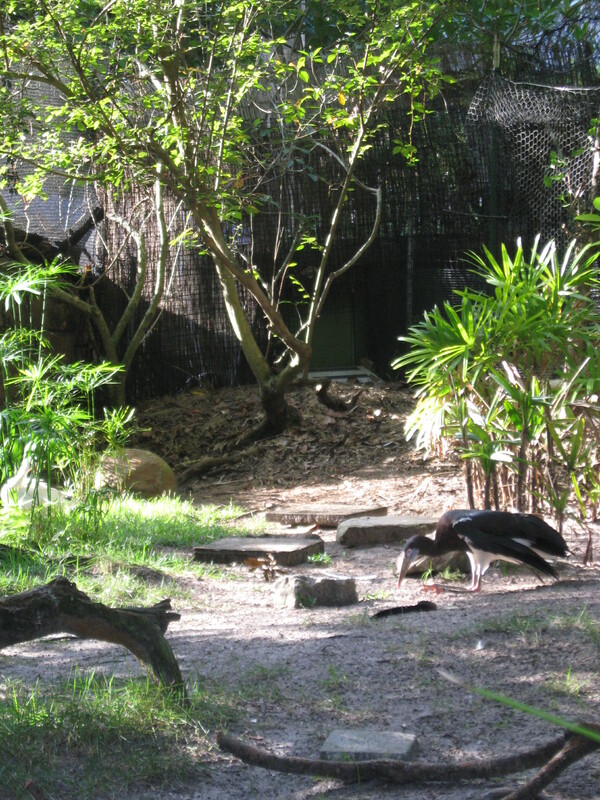 There are lots of animal viewing areas in Animal Kingdom park. And some are better marked than others on the guide maps. There are a few hidden gems in DinoLand U.S.A. If you make your way toward Restaurantosaurus, look around the small island of greenery you’ll pass. 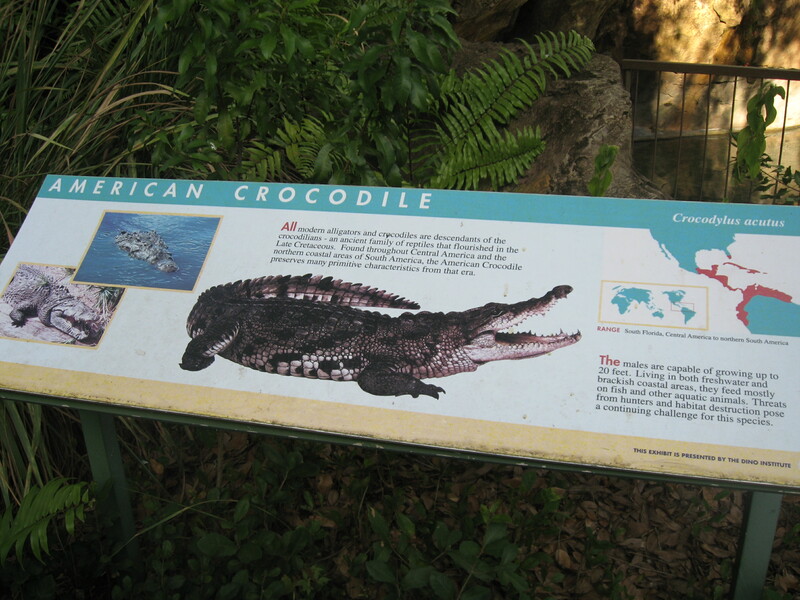 The guide maps do show that this area has an American Crocodile, and it’s pretty spectacular to see up close. But keep going! 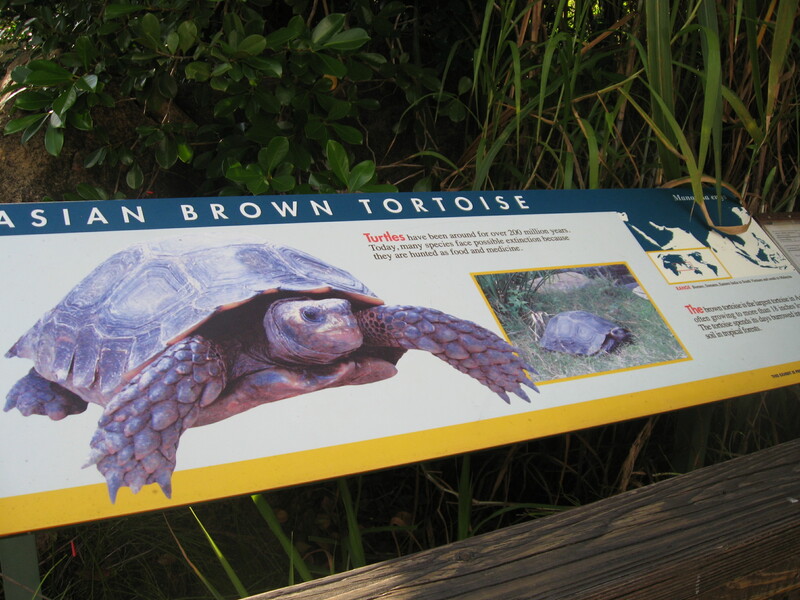 You may also spot an Asian Brown Tortoise or some large Abdim Storks. Placards will teach you all about where each animal comes from, their diet and habits, and what makes them special to our planet. 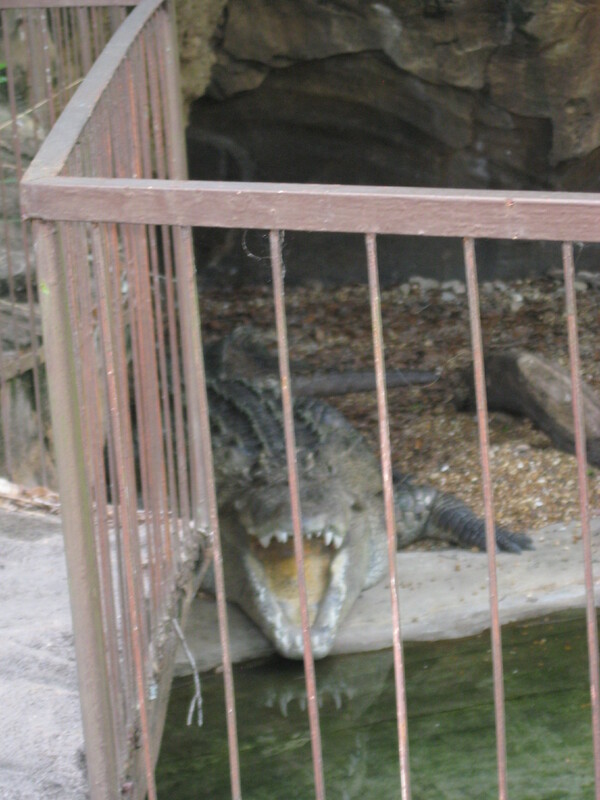 Keep your eyes peeled for even more interesting animals throughout the park. 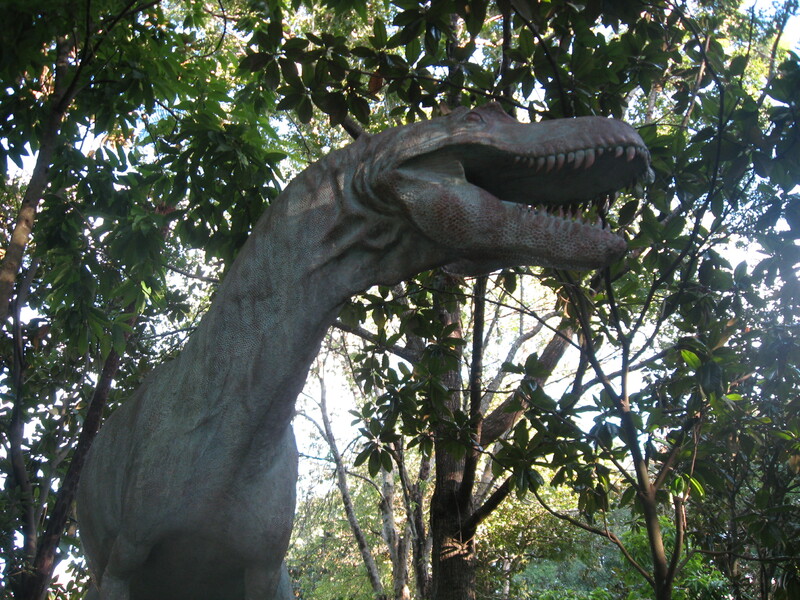 If you have a dinosaur fan in your group, you’ve got to check out DinoLand U.S.A. at Disney’s Animal Kingdom. Make your way to the DINOSAUR attraction and spend a few minutes in the queue area to see a replica of a pretty famous dino. Dino-Sue is a replica of the most complete fossil skeleton of a Tyrannosaurus Rex ever found. 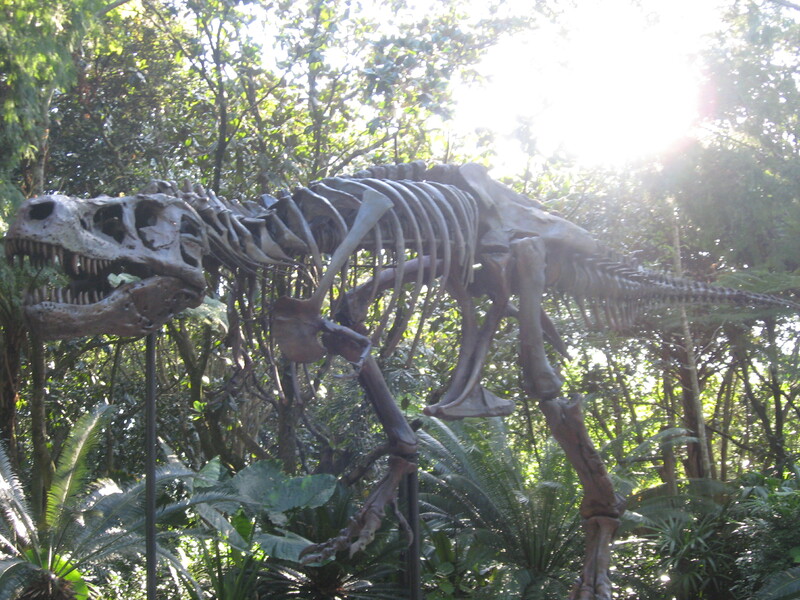 The skeleton at Animal Kingdom is finely detailed and measures the same 40 feet long as the real thing. You can read information posted nearby about how the original T-Rex skeleton was found and named Sue, after the fossil hunter who found it. You can learn where Sue was found and where she is now. Standing next to Dino-Sue is truly amazing. The outside queue area for DINOSAUR isn’t really used any more, so you could miss Dino-Sue if you aren’t looking for her. 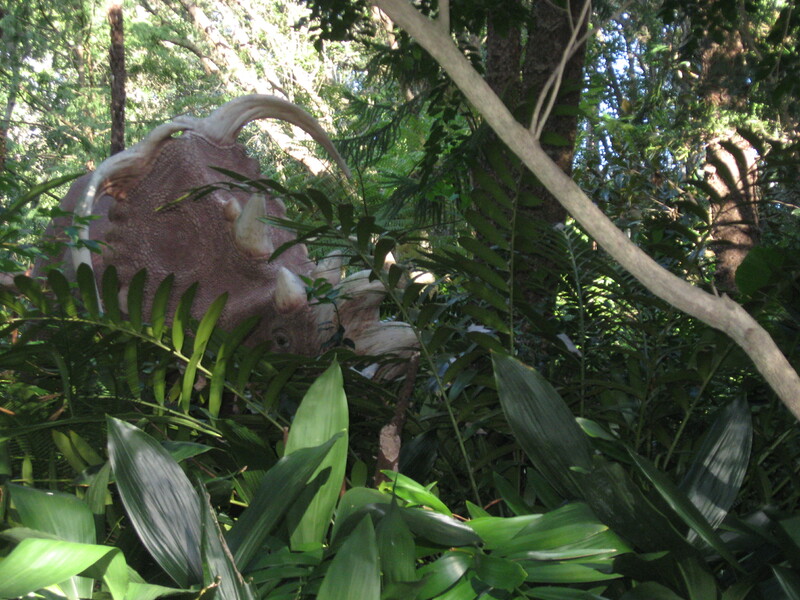 And be on the lookout for even more hidden dinosaurs throughout the queue. There’s a spot in DinoLand U.S.A. that’s a bit off the beaten path and is home to some hidden treasures. It’s even more elusive to many guests because it’s not actually on the guide maps. 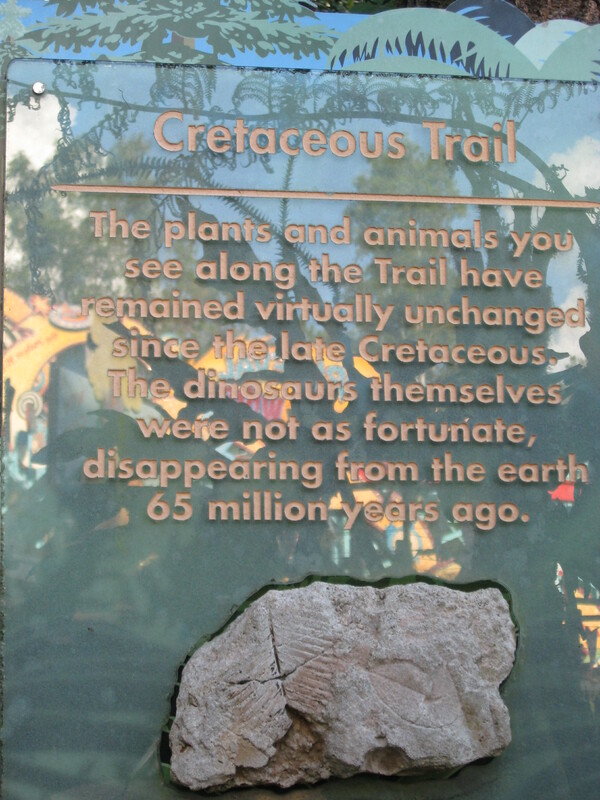 But between Chester and Hester’s Dino-Rama and the DINOSAUR attraction is a little area called the Cretaceous Trail. 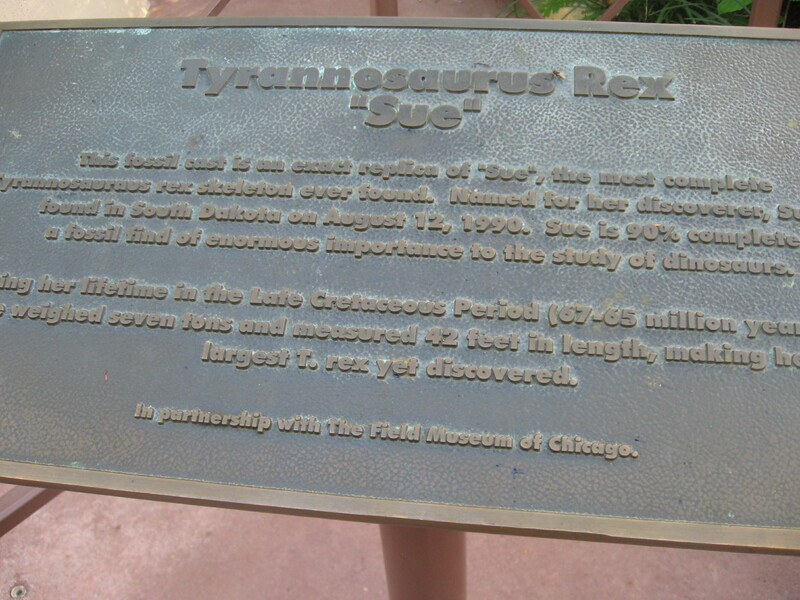 There are two entrances, but a plaque explaining the trail is posted on the Dino-Rama side. 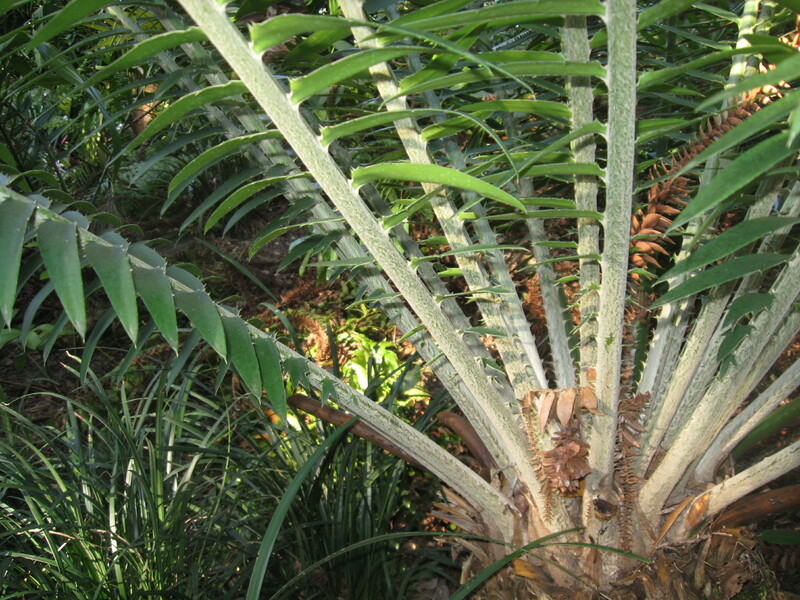 It’s a short walking trail, but as you wind your way through you’ll see Cretaceous era plant life and may even spot (and hear) a few dinosaurs. Unfortunately, the trail doesn’t include any other signage, but you can certainly get a feeling for what the Cretaceous era might have looked, sounded, and felt like. The trail is also now home to a character greeting location with Donald Duck. That section is usually bustling with activity, but there is some fun dino info posted and a duck-billed dinosaur to pose with alongside Donald. You might find the Cretaceous Trail to be a good family or class spot to sit, close your eyes, and use your imaginations a bit.